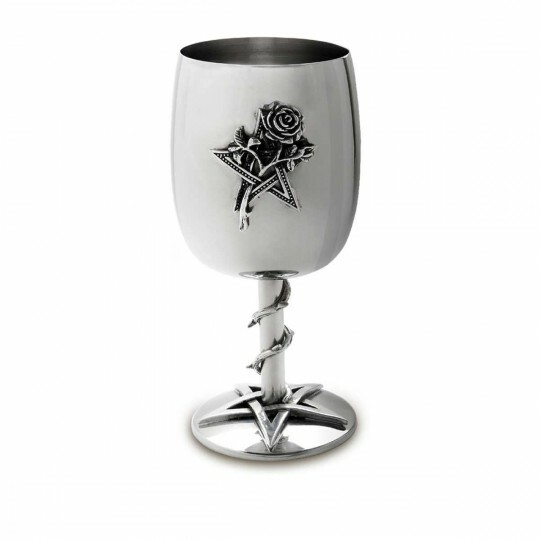 AAG51 - Ruah Vered Goblet in Gifts is made for Women and Men and comes in Black and is made of Pewter material. It is marked as Glassware and weighs about 1.00 lb. A truly powerful sentiment, the fifth element, the spirit and the Breath of Life or pentagram, combined with the sensual rose of love, toasting health, harmony and passion.